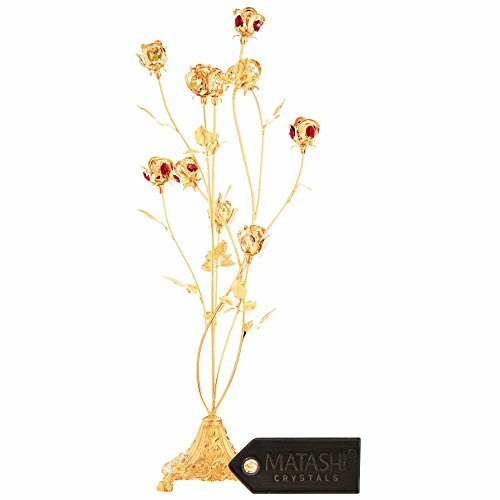 Browse other Matashi products and start your collection today. From wind chimes to night lights, you never know what you will find once you start collecting Matashi. EYE-CATCHING DESIGN: Like tiny jewels, the pretty and delicate flowers stand proud and tall, displaying their beauty for all to see. 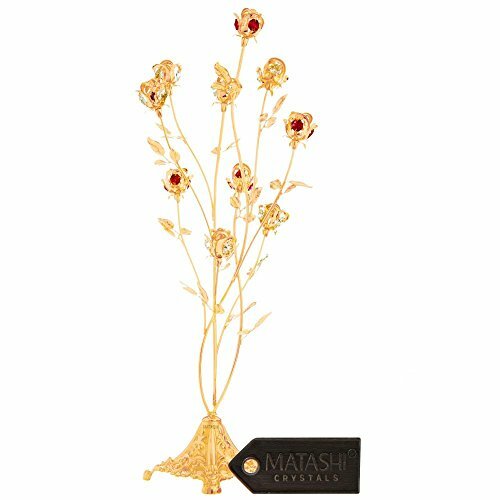 Flowers are a universal symbol of love, affection, and everlasting devotion, and represent rebirth and renewal..; Crafted with quality materials like 24K Gold and studded with precision cut Matashi crystals. DIMENSIONS: 7.5 L x 7.5 W x 23 H inches. The size ensures it is the perfect size for any interior design motif, home decor or collection! Spruce up your desk or hang up this stunning piece by the window.